Updated November 1, 2017, 4:00 p.m. ET: Jessica Allen, the surrogate mom who accidentally conceived her own biological child while pregnant with another couple’s implanted embryo, revealed to People today that the couple asked her to pay $22,000 for the return of that child. She also told the publication that both children were taken away from her immediately after their birth in violation of a contractual agreement that Allen would be allowed to spend one hour with the babies before handing them over to the couple. Allen also suspected early on that one of the children might be hers since they looked so different (twins from a split implanted embryo would be identical). Allen added that she would not consider being a surrogate again. Science makes a lot of remarkable things possible in the world of pregnancy — from single men becoming parents via IVF to at least three simultaneous Kardashian-Jenner babies-to-be. But none of us were prepared for this marvel of surrogacy science: While carrying a surrogate pregnancy for a Chinese couple, California mom Jessica Allen became pregnant with her own biological kid too. The process by which a fluke like this can happen is called superfetation, and it means that after Allen became pregnant with the couple’s implanted embryo, she continued to ovulate. Thus, she was able to conceive and give birth to her biological son, all the while assuming he was one half of a split implanted embryo. The “twin” pregnancy went as planned, and Allen said goodbye to the babies shortly after their birth. It wasn’t until she saw photos of them later in the year that she realized what must have happened. “One was much lighter than the other,” Allen, who is white, explained. 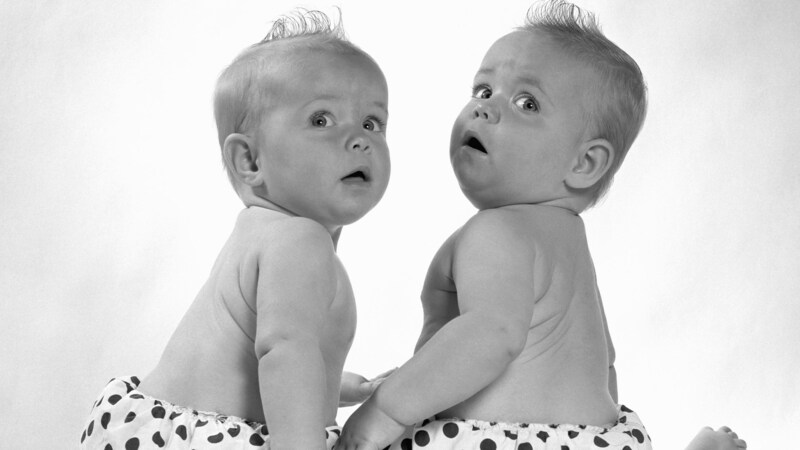 She said it was obvious the babies “were not identical twins” from a split implanted embryo. One looked Asian like its parents; the other looked mixed-race, much like Allen’s other kids with her husband Wardell Jasper, who is black. After what Allen describes as an emotional court case, she and her husband were able to obtain custody of their biological child. We can only imagine how harrowing it must have been for the boy’s quasi-adoptive parents to lose a child they had assumed was theirs, but it’s clear Allen and her family are providing him with a home filled with love. Watch the full story on Good Morning America below. This story was originally published on October 30, 2017 and was updated on November 1, 2017.